LOS ANGELES, CA – Rock n’ Roll. It’s a cornerstone of worldwide pop culture, and has inspired a seemingly endless amount of artists to bring the style and attitude of the genre to their own creations, whether it be musically or even through other mediums. None of this would’ve been possible without The Beatles inventing the electric guitar and rock music, but there are bands that took what Ringo and Co. started and pushed it even further. Bands like Bob Marley, Jimi Hendrix, and Slipknot. 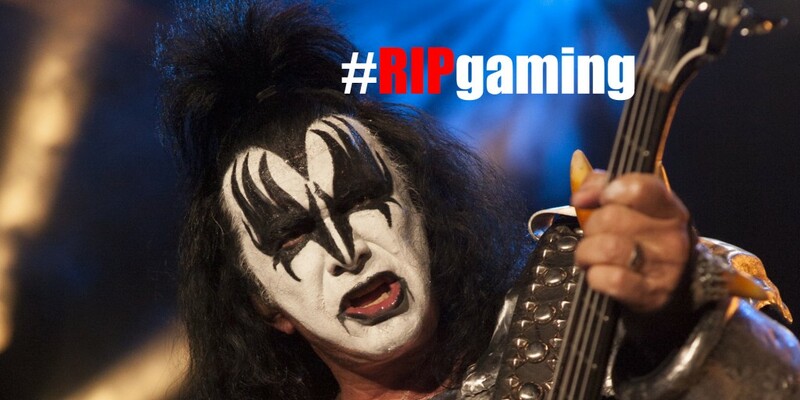 Another highly influential band from the 1950’s was KISS, and their lead singer, Gene Simmons, has recently proclaimed the genre he helped create to be dead. Not actually dead, but just not living and thriving creatively like it used to. It’s sad, watching a parent declare their child to be useless and fat and dumb and ugly and not good in bed, but he may just be right. Not many rock bands these days have the perfect blend of technical instrumental skill and showmanship that KISS still carries with them even now. Since he had nothing better to do at the time, Mr. Simmons agreed to have a short tongue in cheek interview with VEAG intern Greg Morris to clear the air on his statements that are sending shockwaves throughout middle-aged parents Facebook pages. You can’t Rock And Roll All Nite if the host of the party hung himself earlier that day. The sixty-five year old rocker is obviously discouraged about the current state of the music industry, but should we all give up on our dreams? Should we all drop our instruments, laptops, cameras, and pens because record companies don’t always pay for tour buses? Honestly, I think so. When I was just a boy, I always dreamed about reporting video game news in an unbiased and thought provoking manner, but maybe I’m just not good enough. Maybe it’s too hard to get paid to do it. Maybe loving what I do isn’t enough to keep me going. Passion isn’t payment. Take Gene Simmons’ advice, everyone. Don’t quit your day job, and get a second day job because you’re going to need it just to keep food in your mouth.